BOYNTON BEACH, FL – Friday and Saturday, October 6th and 7th ten High School teams and sixteen individuals from all across south Florida competed in the 1st Annual South Florida PGA High School Championship presented by the Seminole Tribe supported by Titleist at Quail Ridge Country Club on the South Course. Great weather made for a wonderful event. Within the event four competitions were administered crowning one Overall Boys Team Champio n, one Overall Girls Team Champion, the Overall Individual Boy Champion, and the Overall Individual Girl Champion. The team for Spanish River High in Boca Raton proved to be the strongest boys team in the field today capturing the overall boys title by firing an impressive 584. The team was coached by Aaron Lampman the team was comprised of Ryan Adams (146), Jack Braverman (149), Michael Checo (146), Adiraj Sibia (162), and Drew Steiner (143). Drew Steiner of Spanish River also captured the Overall Individual Boys Champion title with his one under par two round total. The Girls Overall Team Champion was The Benjamin School coached by Wesley Logsdon comprised of Sarah Beqaj (145), Jenna Fonda (151), Sabrina Fonda (155), Hannah Foster (155) and Ava Marano (160) bringing their team total to 603. Firing two impressive subpar rounds of 68 and 70 to capture the overall girls individual title was Jillian Bourdage. 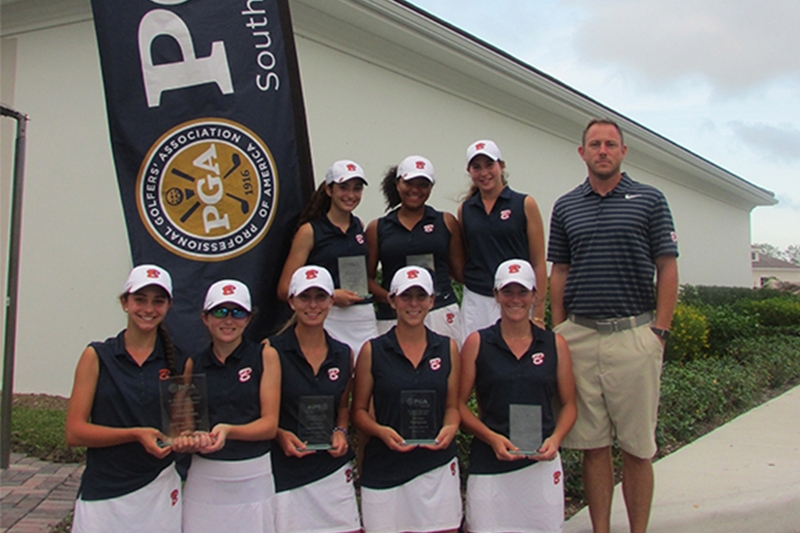 Jillian was the South Florida PGA Junior Championship overall winner in 2015 representing South Florida at the national championship. To view complete results from the event click here.